There are no screens. There are no controls. You don't just see and hear it - you taste, smell, and touch it, too. In this new reality, there are no laws to break or rules to obey. You can live your best life. Indulge every desire. It's a game so addictive you'll never want it to end. Until you realize that you're the one being played. Welcome to Otherworld, where reality is dead. Step into the future. Leave your body behind. 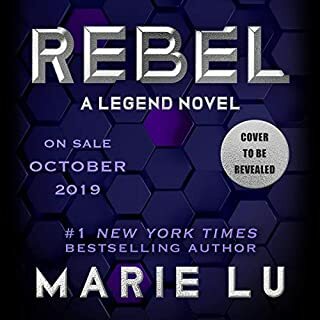 In this explosive sequel to the New York Times best-selling Warcross, Marie Lu delivers an addictive finale that will hold you captive till the very last sentence. I really did enjoy the performance. The story was good but at times I found myself a little bored with the second book. I still enjoyed the story but some parts I really wanted to speed up and go faster. I like how the story ended. She just knows how to tell a story. she keeps you guessing, tears your heart out, and keeps you flipping the pages at every point. 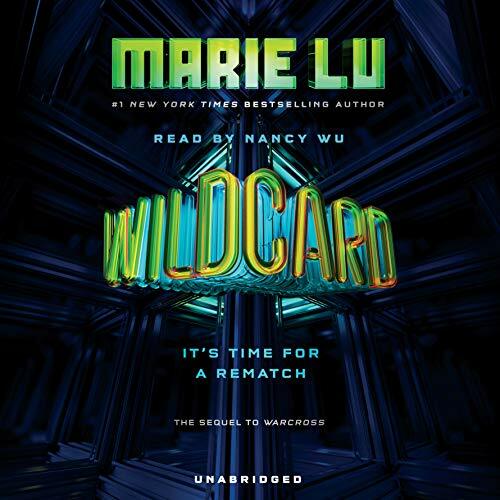 Wildcard was a novel I anticipated to read after having read Warcross. 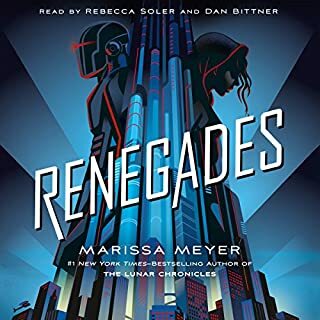 After the amazing first part to Emica's story, I was interested to see what Lu would do next for this character and how she would utilize her video game technology in this novel. 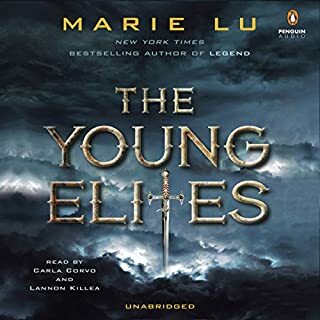 The novel was full of interesting and unexpected revelations, and i was intrigued to know more and more about the characters and the fate Lu had for them. 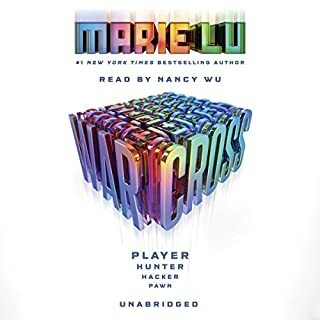 I read this novel in a hurry, as I did with Warcross, in order to have enough of the novel read for Marie Lu's author signing event. I got through over half of the novel in the span of three days. 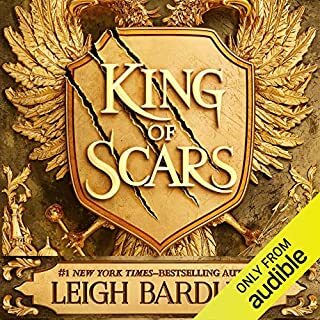 I did not want to stop and wanted to continue listening to this story on Audible. I did not finish this novel until after the signing event but was surprised near the end. This novel gave an ending to the characters' story in a way that the reader/listen does not expect a third novel. It may not be a satisfying ending for some, but I found it to be just right. Both Warcross and Wildcard were novels that I extremely enjoyed and will be revisiting them and re-reading both of them when I have more time and I am not in graduate school. I want to re-visit both these novels and spend more time with these characters. I want to relive the adventure these characters have to offer. Once more, I recommend both these novels to anyone interested in novels that incorporate video gaming technology. Like Warcross, Wilcard is narrated by Nancy Wu who does an excellent job in portraying the second part of Emika's story. 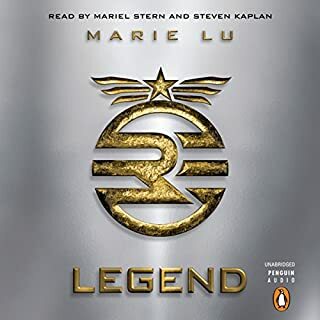 Wu's narration captivates the characters and their encounters very well, and I am eager to re-listen to both novels one after the other to get the full adventure all at once. For those of us who like to multitask and listen on the go, I recommend listening at a 1.75 speed, so one does not miss anything. For those who are listening while reading the book, I found 2.5 speed to be the best speeds. 3.0 was too fast for me, and I was missing a lot of what the narrator was saying and had to eventually slow down the narrator's reading speed. this book was sort of slow and it took me a while to get through it. a bit too much introspection and a little too much predictability. the story was creative and the narrator was fine. Warcross and Wildcard were an exciting series. I thoroughly enjoyed the concept, and how “ethics” was developed. I love books that open my vistas on how the world could be if just a few elements were different. This book felt like a Hunger Games book. The story was compelling since I had listened since War Cross. Blah, blah, blah to meet the Audible minimum for reviews. I love all the characters and I love this book! I listened to the whole thing in a day in a half it was just that good! Sigh, what happened? The first book blew me away! It was one of my fav books of last year. But this one, heck no! It was boring, confusing, and just not good. I only liked the gaming and technical side if this story,l. Honestly, I was happy I finished the book. Which, makes me sad. The ending was okay, but still not worth it. I kinda want to pretend the first book was the only one. Even if it would have not answered the questions. Not worth a book credit.